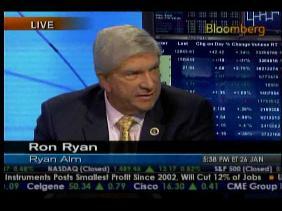 Ron Ryan has been THE pension watchdog for more than 30 years. 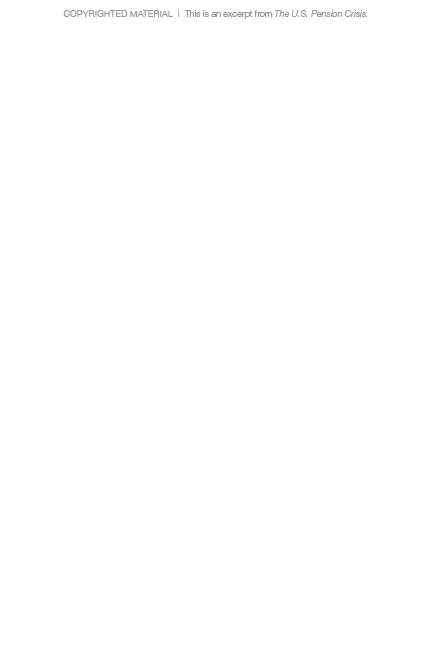 No one has been more insightful or outspoken. 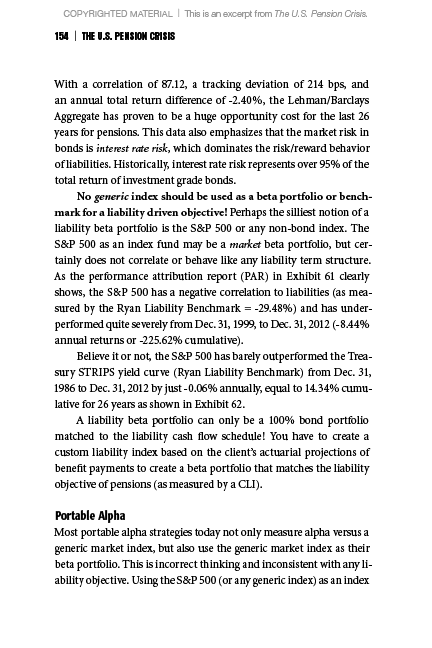 Institutional investors and individual pensioners would be wise to study his timely research and practical solutions. 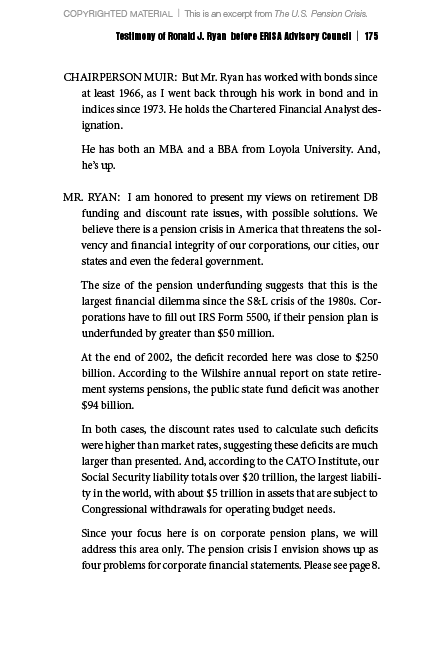 No one has exposed and documented the pension dilemma better than Ron Ryan. Wake up, America! 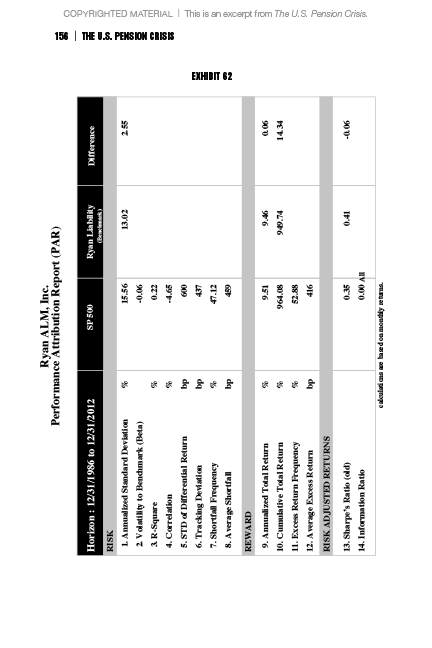 Contribution costs are up 20 to 30 times since 1999 for most public pensions. Listen to the solutions he presents. 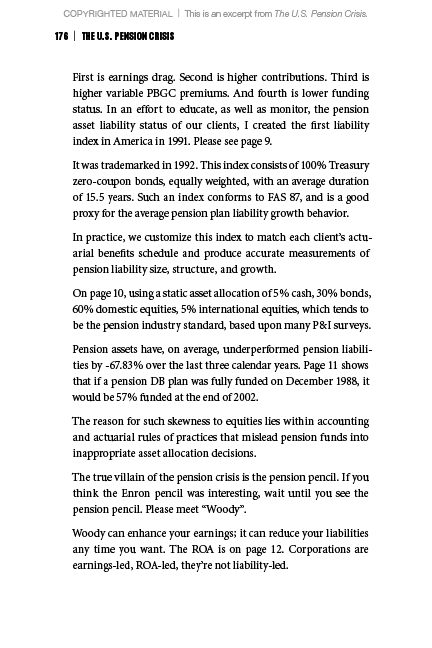 America’s pension managers should have paid attention to Ron’s consistent warnings and research. It would have saved them from a deficit approaching 5 trillion! 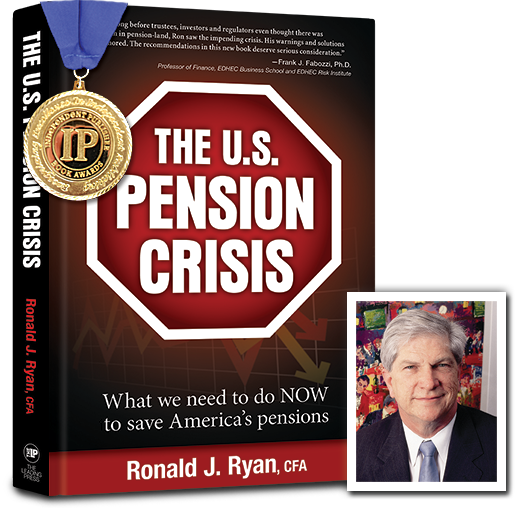 America faces its greatest financial challenge since the Great Depression: The U.S. Pension Crisis! 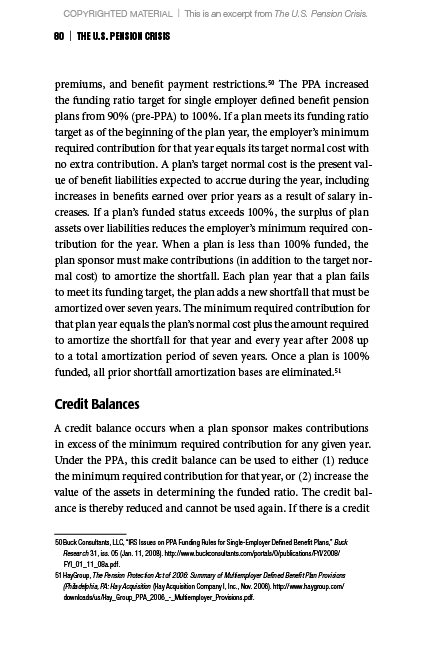 If the TARP I bailout was a national emergency at $800 billion, how should we describe the $4 trillion in unfunded liabilities that exists in public and private pensions across the country today? A devastating pension crisis looms as spiking contribution costs and promised benefit payments threaten the solvency of many corporations, cities, and states. 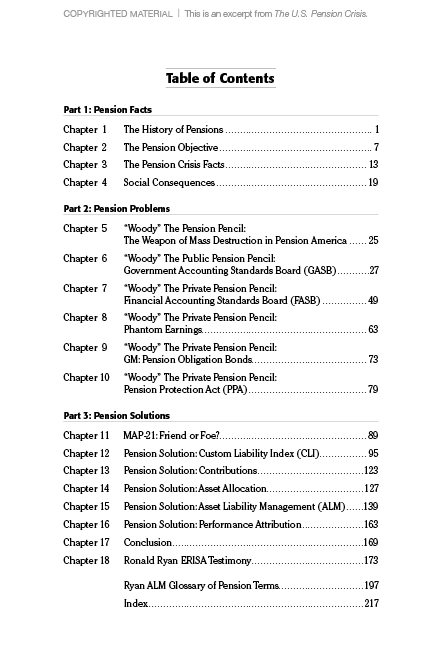 This book details how improper accounting rules misled pension managers to follow the wrong objectives, leading to a financial crisis of epic proportions. 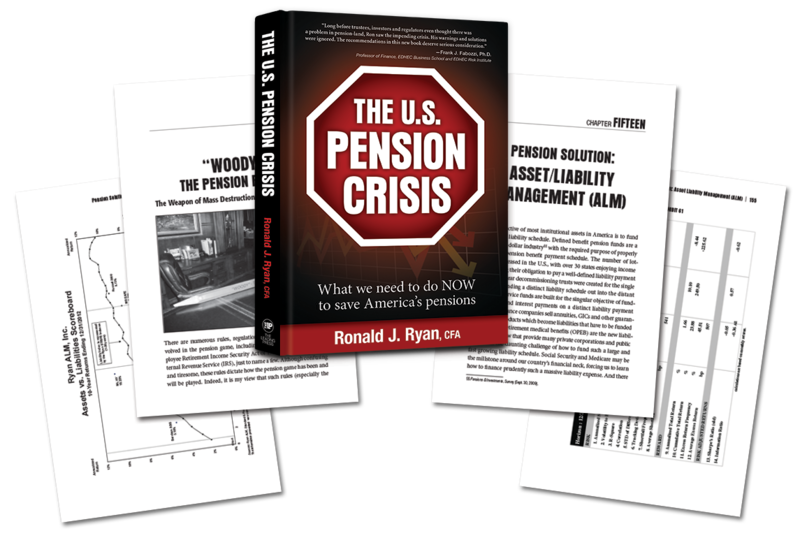 Award-winning author Ronald J. Ryan details just how the pension crisis developed and what pension decision makers need to do now to solve this dilemma. 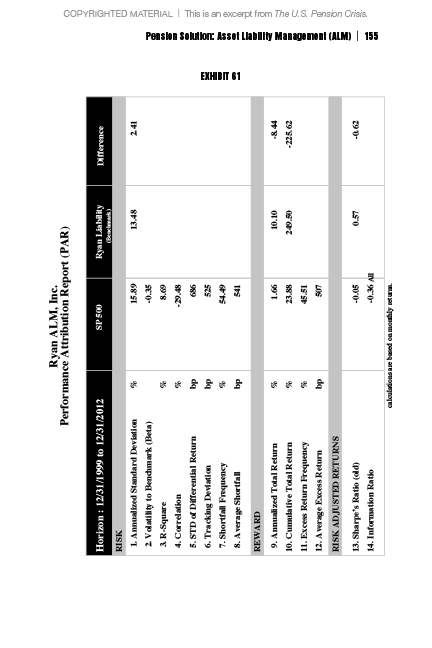 He offers a compelling strategy to reduce pension costs and reach a fully funded status. 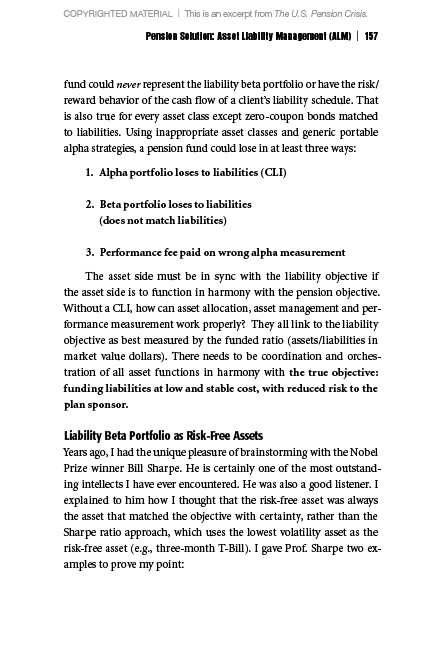 This book is not only for pension and financial professionals and policy shapers, but also for employees whose pensions and retirement expectations are at gravest risk. 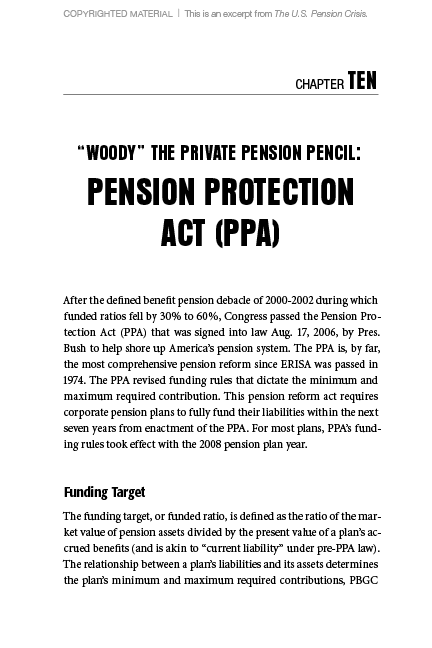 Read it, and you will ask intelligent questions of your organization’s pension fund managers to find out what they are, or are not doing, to protect your pension. 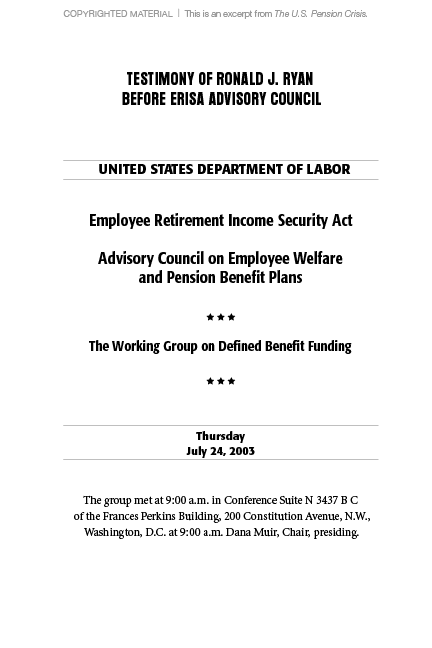 *The complete testimony of Ronald J. Ryan before the ERISA Advisory Council is included in the text. 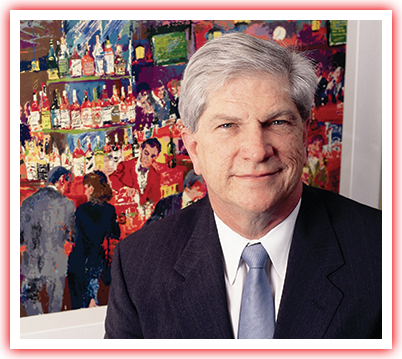 A recipient of the financial industry’s prestigious William F. Sharpe Index Lifetime Achievement Award, and many other industry accolades, Ron Ryan is a respected financial asset/liability expert. 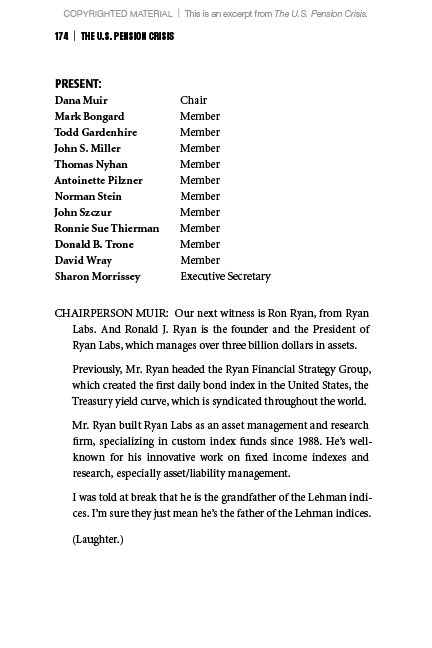 He is the CEO and founder of Ryan ALM, Inc., a bond asset/liability advisory and bond index firm that provides major financial indexes and strategies for pensions and ETFs. 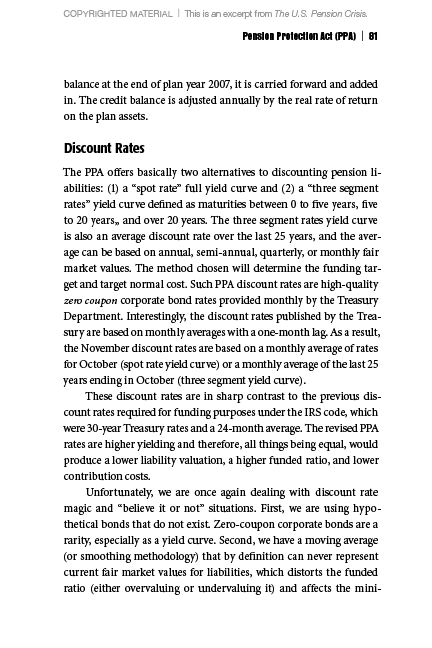 With a background that includes creator of three fixed income firms, director of research at Lehman Brothers, head of Texas’ largest fixed income trust department, and security analyst at Louisiana’s largest institutional investment entity, he is eminently qualified to sound the alarm on the state of the current U.S. pension crisis. 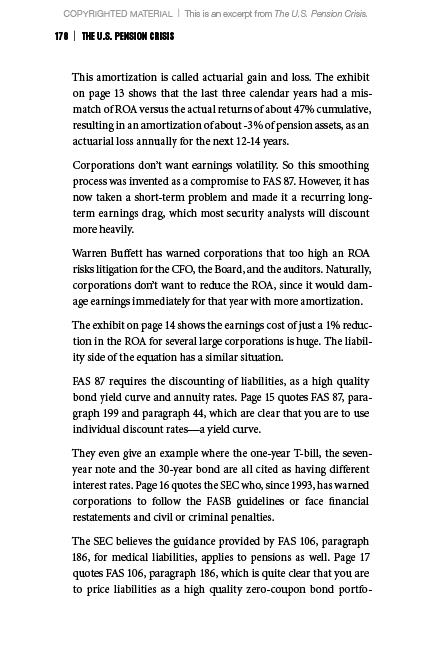 Over the span of his 45+ year career, Ryan and his associates have designed and implemented numerous bond indexes and investment strategies. 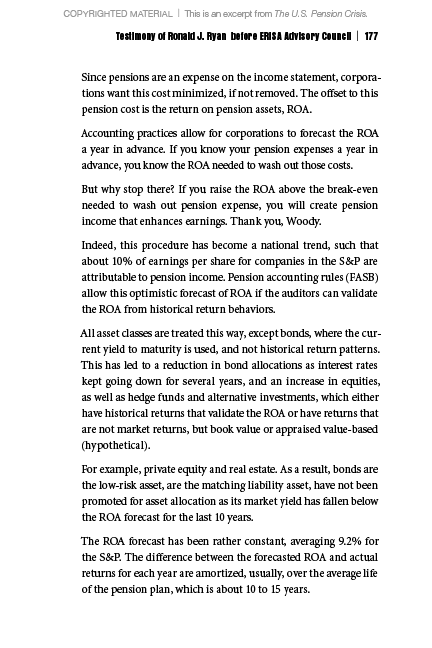 You’ll receive Ryan ALM’s pension newsletter, and have access to timely articles and research.